Pikeville Medical Center (PMC) continues to make advancements by providing the region with the nation’s most advanced equipment for patient care. PMC is one of the few hospitals in the state and the only one in the region to provide the Extracorporeal Membrane Oxygenation (ECMO) life support machine. Patients who need ECMO have a severe, life-threatening illness that prevents their heart or lungs from working properly. The lifesaving machine replaces the function of the heart and lungs and pumps blood from the patient’s body to an oxygenator, artificial lung. “The ECMO machine allows us to take blood from the patient’s body then it artificially removes carbon dioxide, while oxygenating red blood cells. 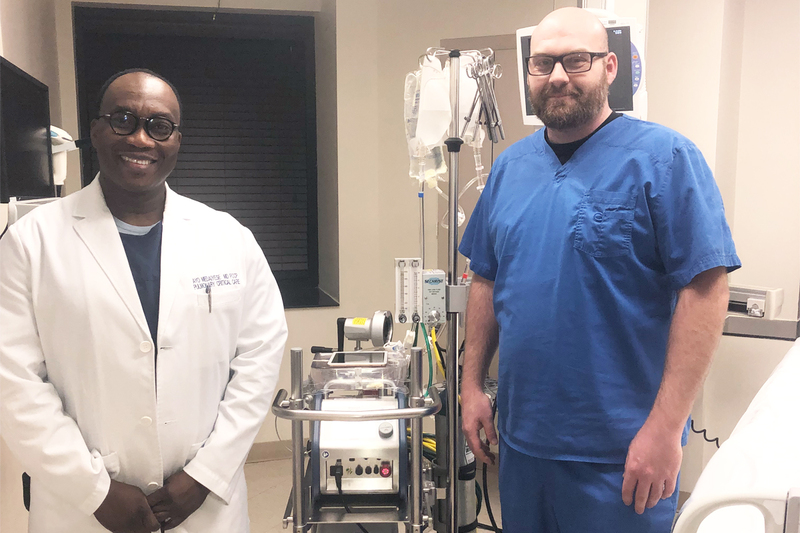 The ECMO machine then sends the blood back to the patient through a pump with the same force as the heart, replacing its function,” said PMC Director of Critical Care, Josh Damron. For the ECMO machine to work properly, special tubes are placed into the blood vessels that go directly into the heart or bloodstream. They transfer the blood from the heart by using a pump to push the blood through tubes to the machine where the blood receives oxygen and the carbon dioxide is removed. Next, the blood is warmed to body temperature. The warm blood goes through another tube back to the body. ECMO is generally used either post-cardiopulmonary bypass or in late-stage treatment of a person with profound heart and/or lung failure. The uses continue to grow as treatment for other conditions are added. PMC has a specifically trained team that monitors all patients who are receiving ECMO. “They adjust the settings on the machine to give the patient the amount of heart and lung support they need,” said Dr. Medaiyese. ECMO is used when usual treatments are not working. “When patients are so sick, oxygen drops and organs do not get well. ECMO will allow the organs to rest while they heal. This technology advancement can be lifesaving,” added Dr. Medaiyese.